If you are planning a DIY kitchen remodel you better stop and check out this checklist before the final kitchen is installed. You could be missing small details that are not so small after all. Is there plenty of counter space between appliances and sinks? Is there enough space in corners to open drawers and doors fully? Where will the pulls be placed on the cabinets? Will their design interfere with nearby appliance, door, or drawer openings? Is the microwave at the right height for pulling out hot items? Can children use it safely? Have you planned sufficient under cabinet lighting? Are light fixtures planned for above the sink, cooktop, or range? Have you planned where the light controls will be? Has the toe-kick below the cabinets been designed for the thickness of your flooring? Will the new kitchen floor match the style and height of flooring in adjoining rooms? How will it be joined? Don't make the mistake of using cheap flooring either. Quality will look better and last longer, consider the fact that more money spent may mean you don't have to replace it after a few years. Do you have plenty of electrical outlets? If you're planning an island or a peninsula, don't forget outlets there, too. The worst thing is to walk into a kitchen with one outlet! How will you use one outlet when you have a coffee machine, blender, toaster oven, mixer and so much more? Is the work flow uninterrupted? Traffic should go around the kitchen's work triangle -- not through it. Do you have enough storage space where you need it? Storage is a must in a kitchen. More storage means less clutter. Last but not least, will you enjoy your kitchen? Starting a big remodel like your kitchen should not be a project taken lightly, as this remodel can make or break any value that you are trying to add to your home. 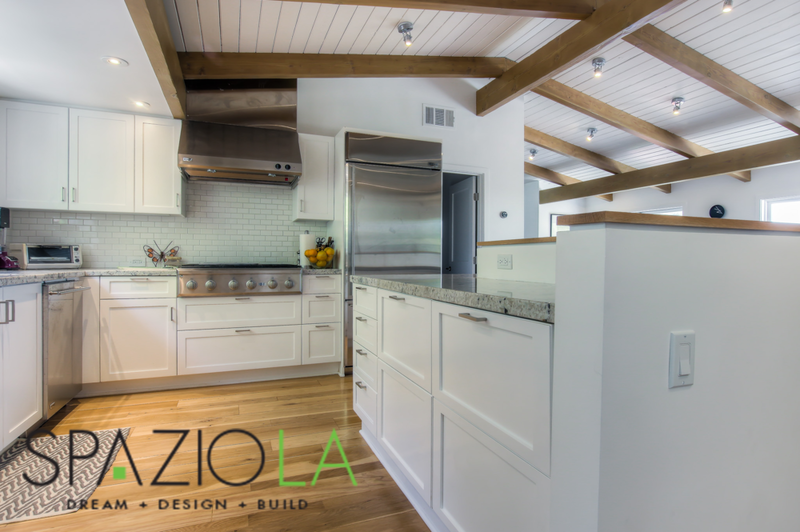 A well planned kitchen remodel can transform your whole house.